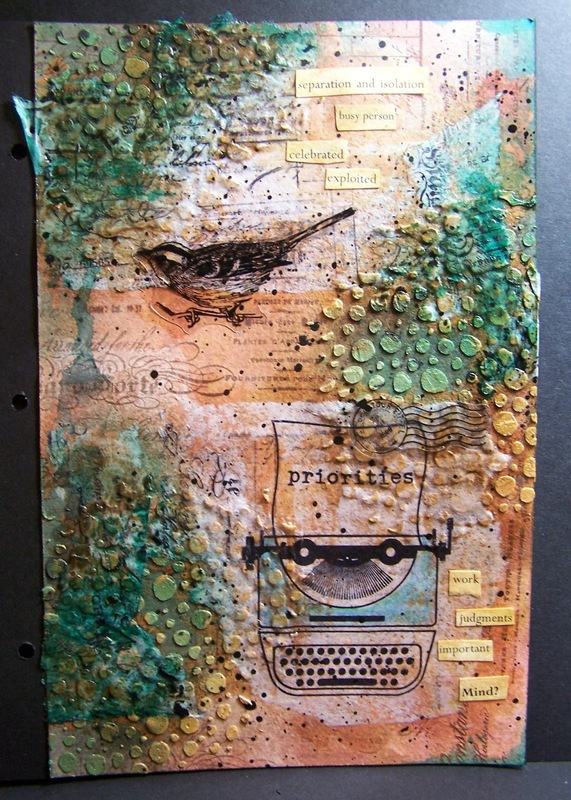 Just a quick post tonight to share the Art Journal Page that I made tonight. Lots of techniques and products used on this page however, I am just to tuckered out to post all the information tonight. My Art Journal time is my time for relaxing and finding my calm. Hope you all have an outlet to help you find your happy place.